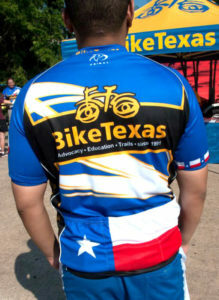 Very high quality jerseys made by Primal for BikeTexas! Comfortable and moisture-wicking with reflective piping along the front and the back. 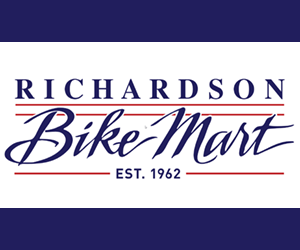 Available in a wide range of sizes to fit cyclists of all types! Just $75.00 plus tax. 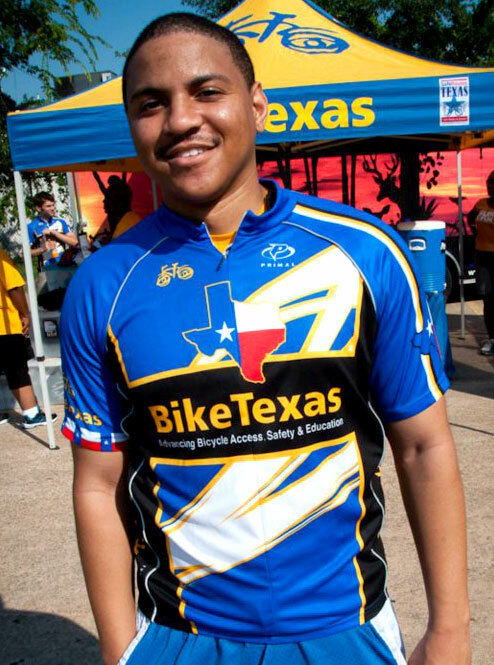 This is a Primal Men’s jersey with 3/4 hidden zipper and reflective piping. Click here to see Primal’s fit guide. 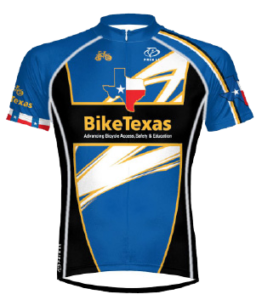 Order your BikeTexas Jersey today!